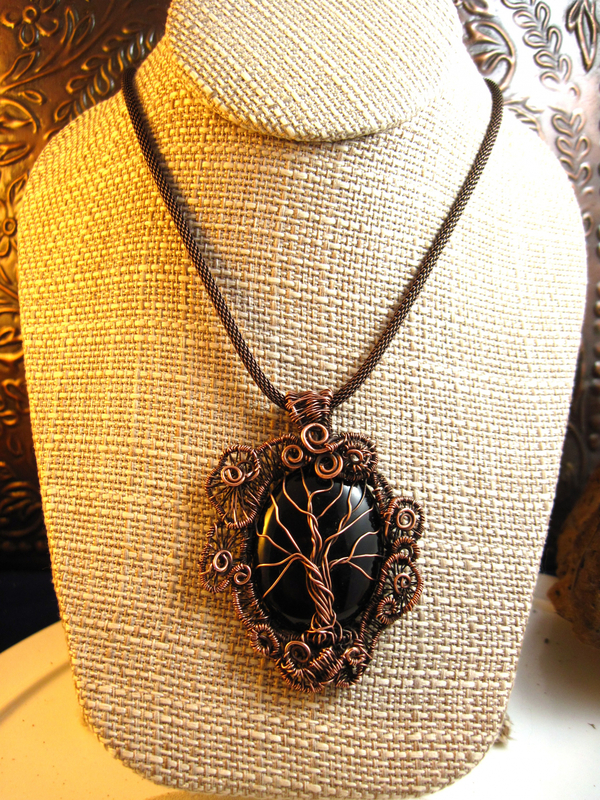 This tree of life with a twist is a large bold and powerful statement necklace. 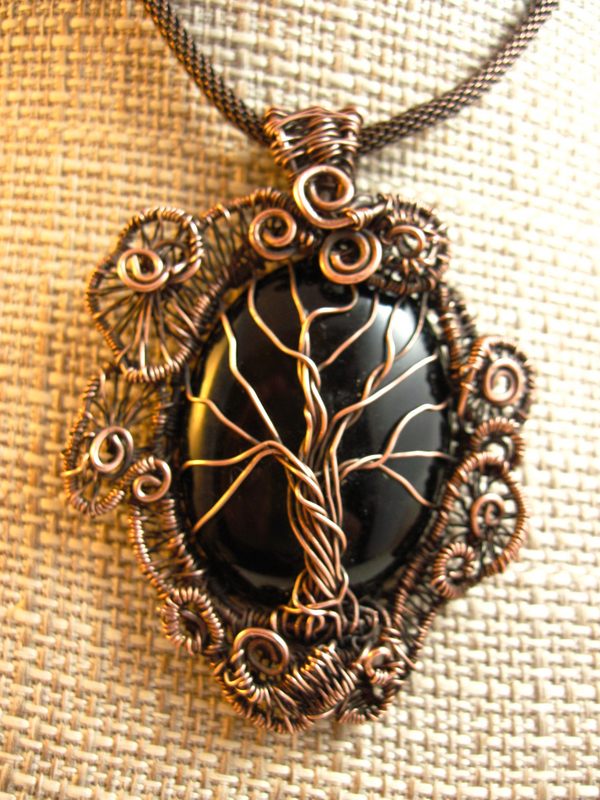 I combined a swirling wirewoven frame around the traditional tree of life. 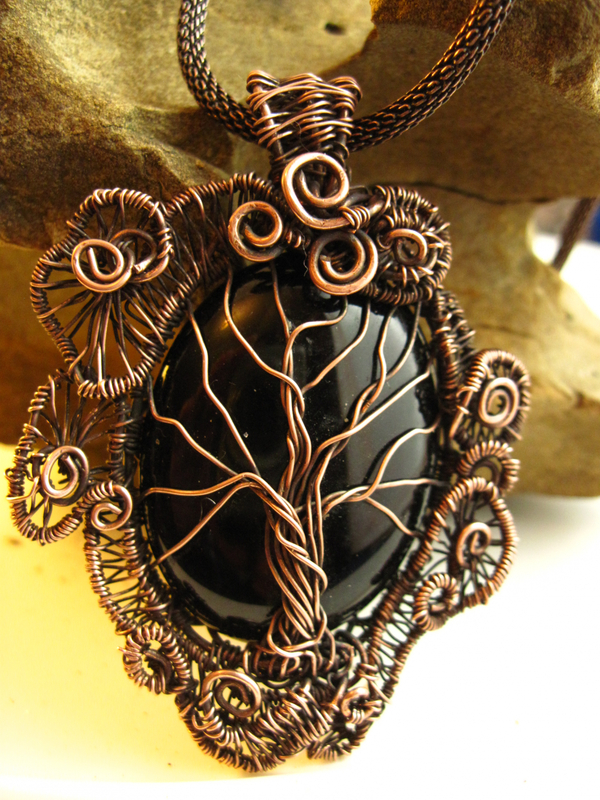 The black onyx cabochon is large measuring one and three quarters inches by one and a quarter inches. The tree covers the front of this cab and has been antiqued to give it depth. 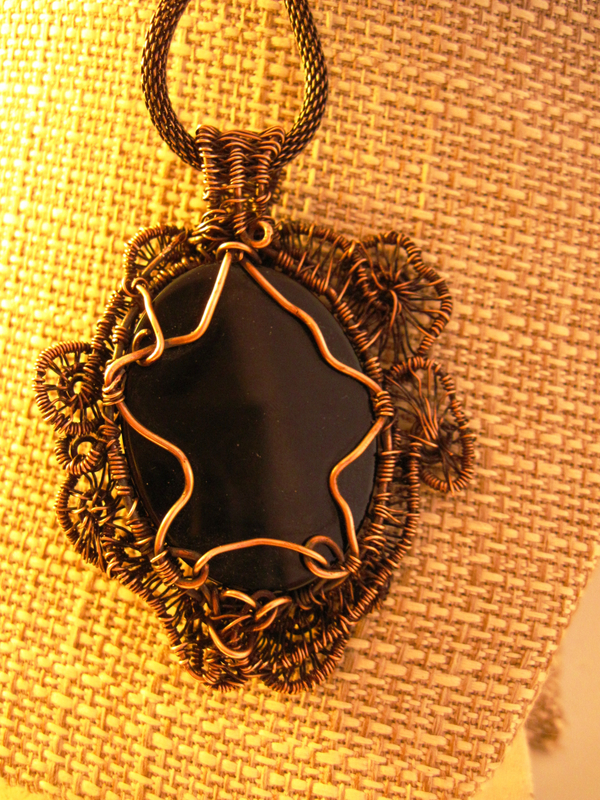 The pendant measures three inches from the top of the bail to the bottom of the swirls. It is about two inches at the widest point. 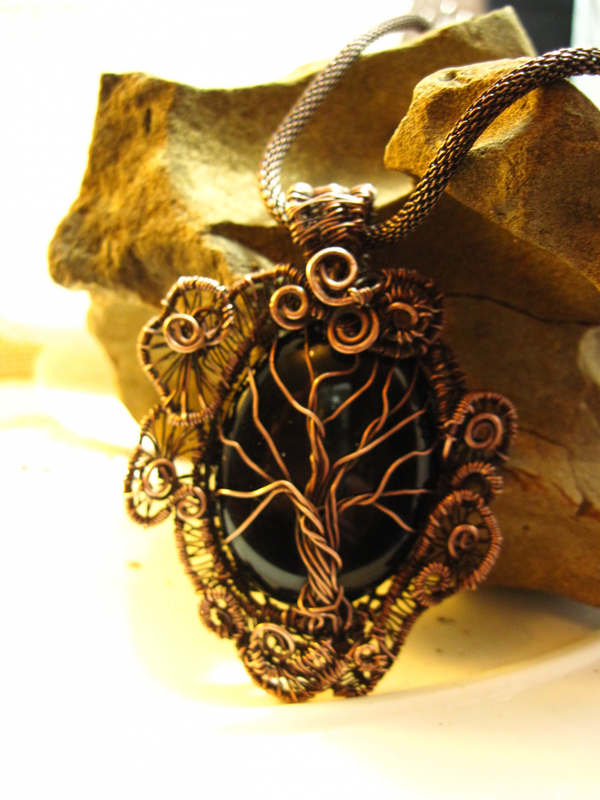 The pendant hangs from a copper mesh chain. This will be available in one of two lengths. 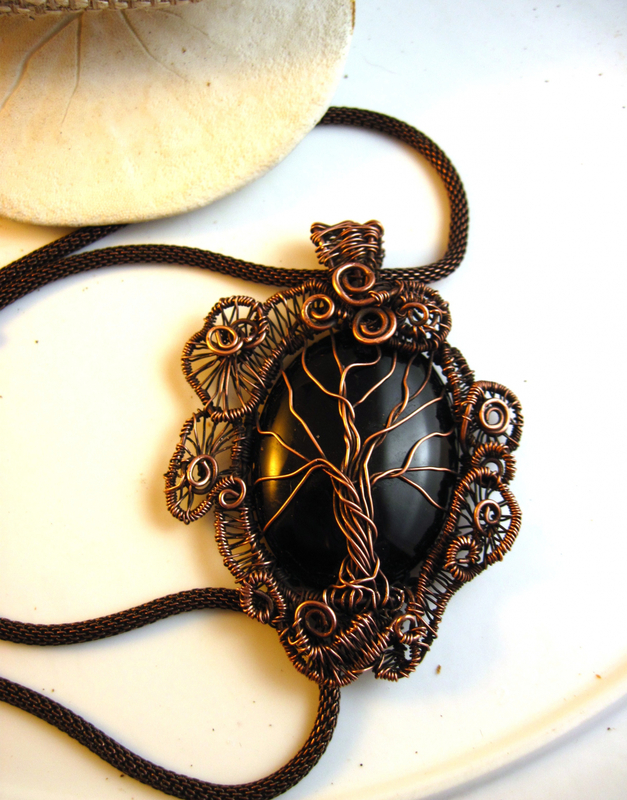 I can also trade it out for a black leather cord if you want a longer look. 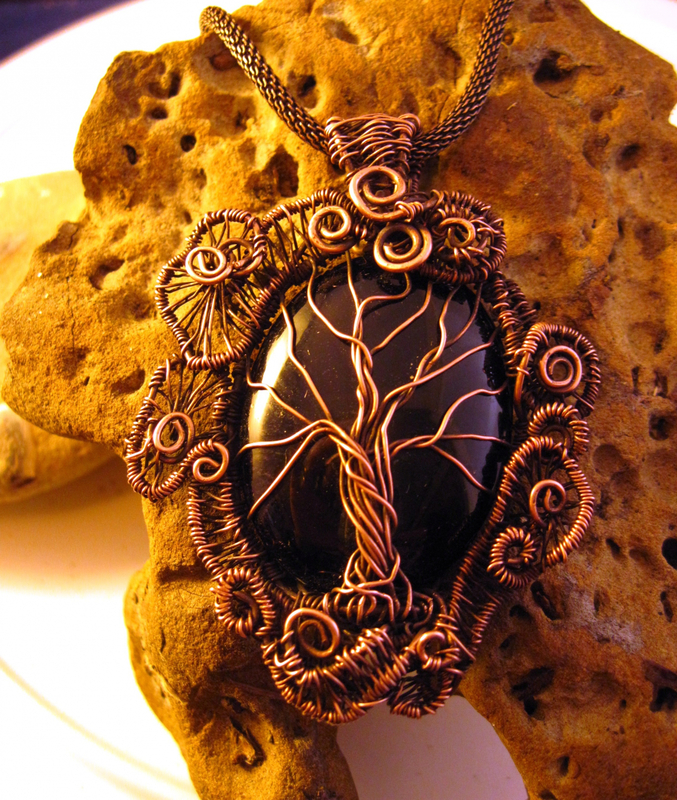 Tree of Life is a symbol in many spiritual traditions. As Above So Below.